There exist problems in the field of digital signal processing, such as filtering of acoustic signals that require processing a large amount of data in real time. The beamforming algorithm, for instance, is a process that can be modeled by a rectangular matrix built on the input signals of an acoustic system and, thus, changes in real time. To obtain the output signals, it is required to compute its QR factorization. 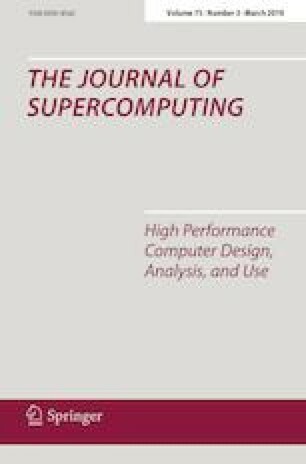 In this paper, we propose to organize the concurrent computational resources of a given multicore computer in a pipeline structure to perform this factorization as fast as possible. The pipeline has been implemented using both the application programming interface OpenMP and GrPPI, a library interface to design parallel applications based on parallel patterns. We tackle not only the performance challenge but also the programmability of our idea using parallel programming frameworks. This work was supported by the Spanish Ministry of Economy and Competitiveness under MINECO and FEDER projects TIN2014-53495-R and TEC2015-67387-C4-1-R.